for $380,000 with 2 bedrooms and 2 full baths, 1 half bath. This 1,179 square foot condo was built in 2007. Beautiful upgraded unit on desirable line 9. 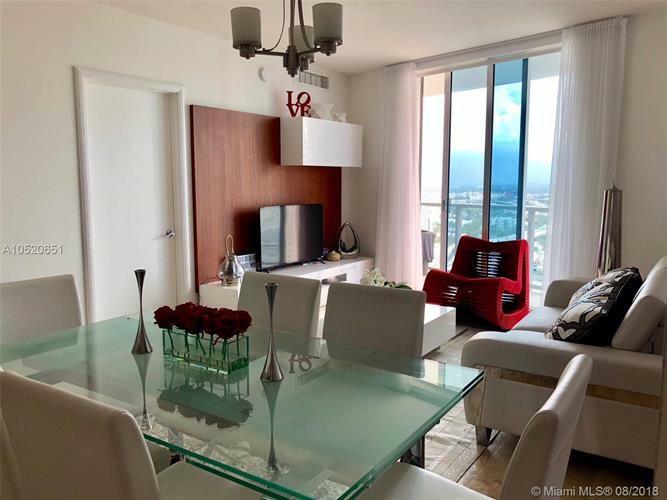 Marble floors, Italian cabinetry, stainless steel appliances, everything well-kept. Building amenities include pool, gym, spa & party room. Office building next door and walking distance to Brickell City Centre.